The pattern is Bloomin’ Nine Patch and the trick is to find a good blend of fabrics. I have seen lovely examples with multicolor prints mixed with solids so the colors flow from one round to the next. I had fun mixing the black and white prints to move from the pure white center to the stark black border. I have gotten much better at feathers, but I rarely use stencils. And white thread on black fabric, wasn’t I brave?!? 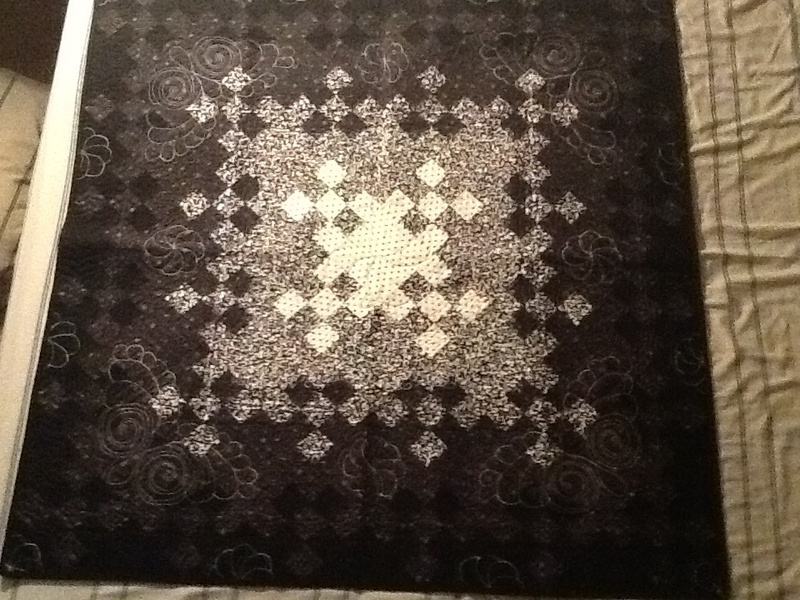 All the white stuff around the center design is curly-q stitching, that no one can see on the front! 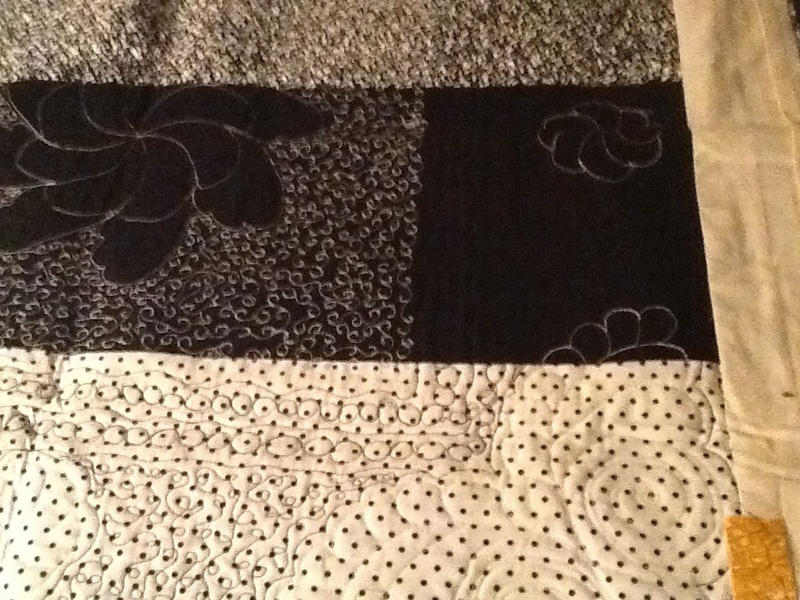 And I had some interesting borders, stitched in black thread on black fabrics. 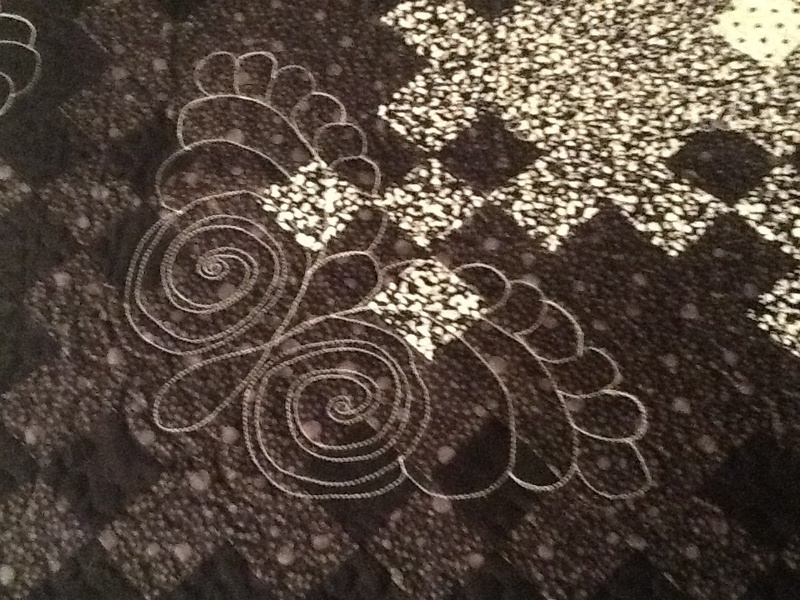 Always take a look at the back of a quilt, you never know what lovely surprises are hiding there! Be sure to visit tomorrow for Freebie Friday!! I am celebrating Blog-tober with a new post every day.